In my late sixties, I am fitter and stronger than in any other decade of my life. As a child and a teenager, I had problems with movement; sports lessons were dreaded ordeals! Organising my body in space has always been a challenge. 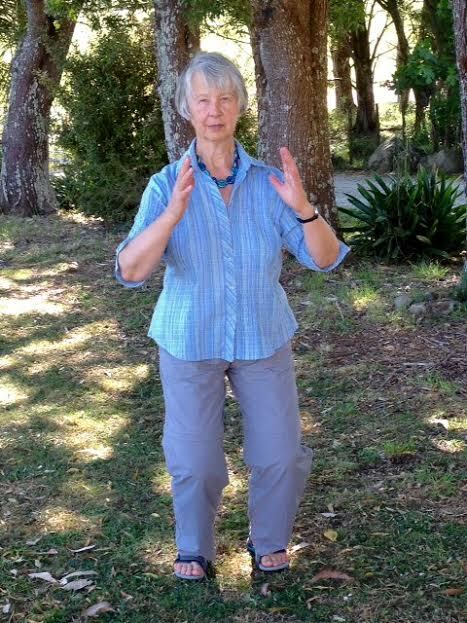 Whereas the Alexander Technique gave me a sense of co-ordination and integration, practicing and teaching Tai Chi for Health has enabled me to turn that sense into reality. My balance, stamina and confidence are increasing every year. Bring your hands, palms facing, fingers to the ceiling, to about 30cms in front of your chest, about head-width apart. As you exhale, move your arms to bring your hands back to about head-width apart. You are aiming to match breathing with moving so as breathing changes (in to out, out to in) your hands change direction. In time, you might feel as if your breath is moving your hands. There are many forms and styles of Tai Chi. The Tai Chi for Health programme was developed by a Doctor in Australia and is now taught world-wide. I teach weekly classes in the Far North of New Zealand in Kerikeri. At these classes, we explore Tai Chi for Arthritis, Tai Chi for Osteoporosis, Tai Chi for Rehabilitation, Tai Chi for Diabetes and the Sun 73 form. In my teaching, I am mindful of how difficult it can be to learn movement sequences so use encouragement and patience as powerful teaching tools. 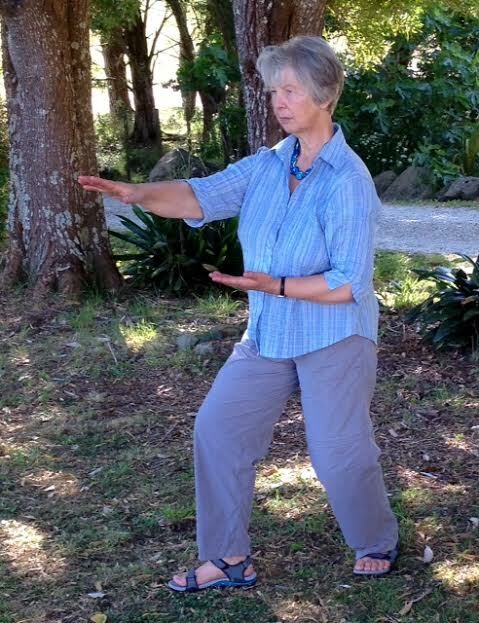 WHANGAREI: I also teach Tai Chi for Health one-to-one in central Whangarei.